Window Regulator – Is It Time to Replace Them? Hi, Pete here from Northside Auto with some information about window regulators. Ever heard a SNAP CRACKLE POP (Rice Bubbles) sound when trying to open or close your window, only to find the window either won’t go up or down? That’s a busted window regulator. While most of the time your window regulators will live as long as your car does, occasionally there are failures in the mechanism, typically after 100,000. Typically the driver’s window will fail before the others, simply due to its frequent use. A functional window is essential to your comfort and safety whilst in your car. A window can operate as an emergency exit if a door cannot be opened, we’ve all seen footage of people escaping their cars in floods or accidents through the window, thanks to that option those people are safe and well. Your window function also plays a more day to day and obvious role, it serves to let a breeze in and allows you to go get a coffee at the drive though Zaffaras down the road. A window that doesn’t close properly can also be a safety risk, as thieves will often check if they can manually lower your window in the hope the regulator is broken. It is also a requirement for your roadworthy that your car windows, particularly the driver’s window, be functional. 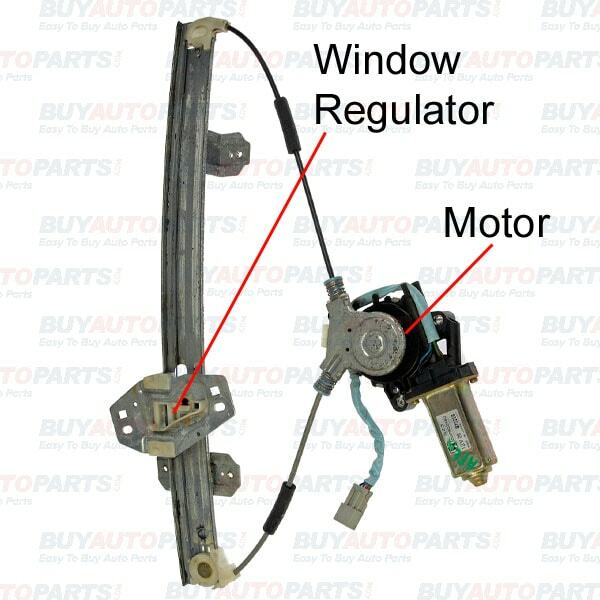 A window regulator is a mechanism inside the door of your vehicle which is controlled by a small motor and which operates as a little shelf which moves your window up and down. There are two different types of window regulators. One which is a scissor-type regulator and the other a cable-operated regulator. The scissor-type regulator is usually all-metal construction, has intersecting arms shaped like an ‘X’, and is moved with a gear that the heart of the unit. A cable-style regulator is found on many newer models. The cable is attached to a drive method and moves the window vertically along its track. You hear the classic rice bubble SNAP, CRACKLE POP when you try to roll it up or down. This is the mechanism slipping off its pulley. But don’t despair, replacing these is a quick and easy job and we are able to order parts on the day. So if you have any concerns about your window regulators, give us a call. Until next time, safe driving.